I’m all about celebrating holidays in my house, and Halloween is no exception! I’ve put together a few of my favorite healthy snacks and meals we love in our home! First up is a spooky ghost face parfait. Add a generous scoop or two of greek yogurt, fruit, more yogurt and top with three blackberries to create a ghost face! 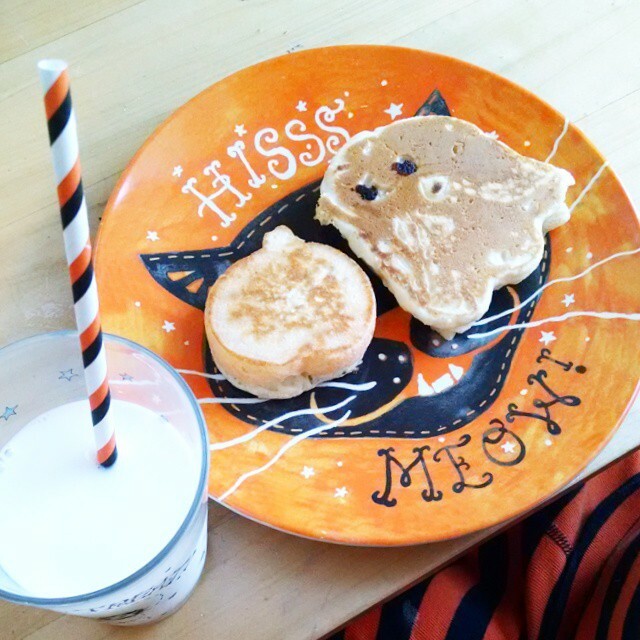 Ghost pancakes are a fun way to start the day! I always add a small amount of oil to my cookie cutters before pouring in the pancake batter so nothing sticks when you remove the cookie cutter. A great snack idea for little ones is cutting a banana into slices, and adding peanut butter and sprinkles. I have to say that the cyclops eyes are my fave! 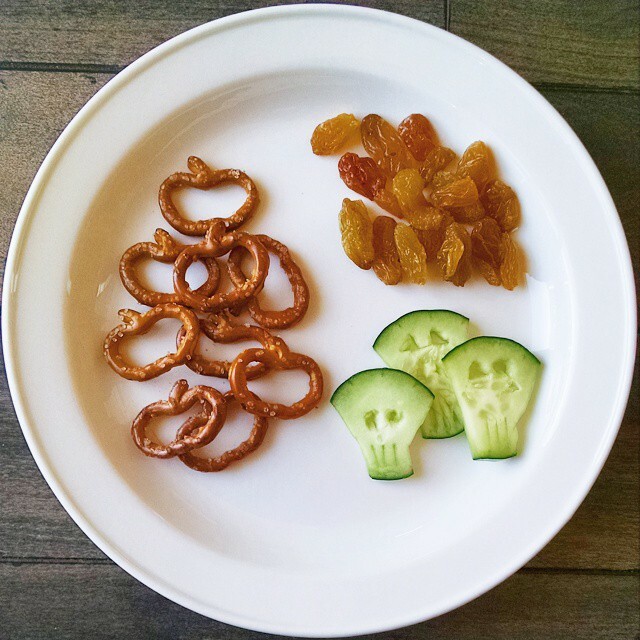 Another wonderful snack idea is pumpkin pretzels (found at Target) with golden raisins and skull cucumbers! 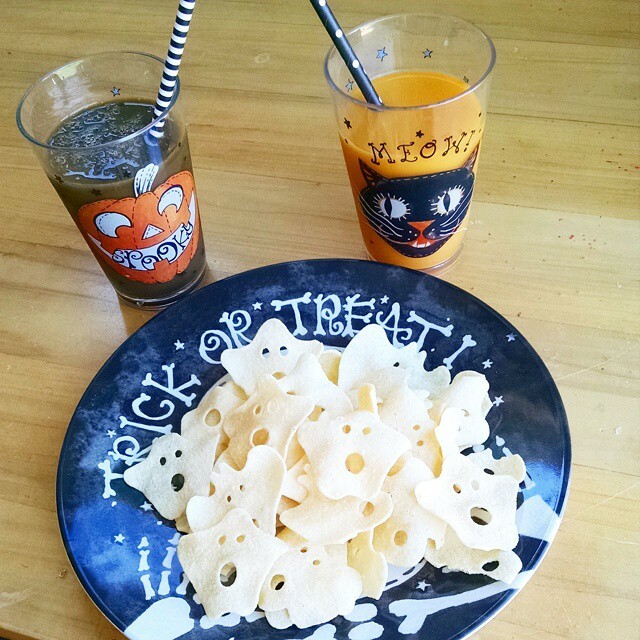 Color coordinated juices and ghost chips are a fun snack idea for Halloween. You can find these chips at Whole Foods. For dinner, we roast our favorite veggies in season and add them to scary pasta! 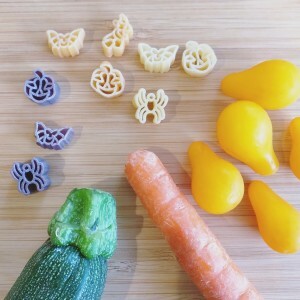 You can find the pasta with natural dyes (yay!) at World Market. Then we top with a splash or two of our favorite vinaigrette. My kiddos love creepy dinner ideas, and this one is so easy and fun! I slice hot dogs and then boil for a few minutes. The curl up into worm shapes – ew! 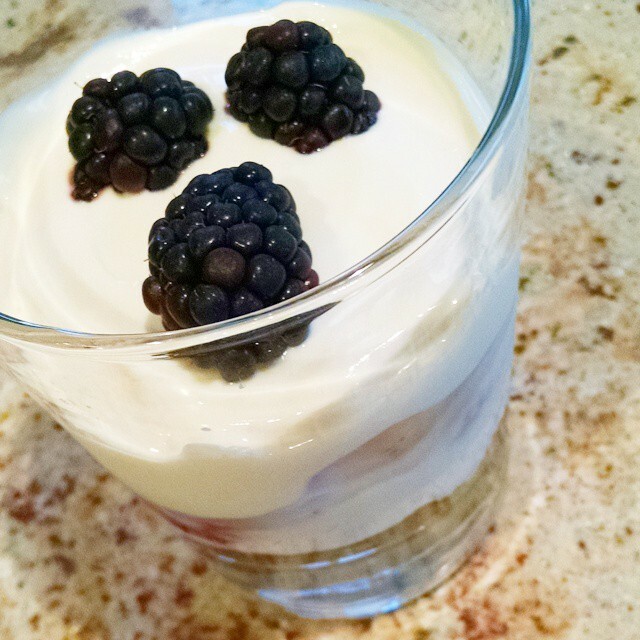 Add berries and cubed cheese for a colorful meal! This has to be my children’s favorite Halloween dinner probably because it’s the grossest looking idea! I cooked chili and hot dogs separately. 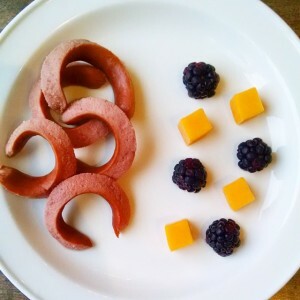 Then I sliced hot dogs and used a straw to poke out two perfect circles. 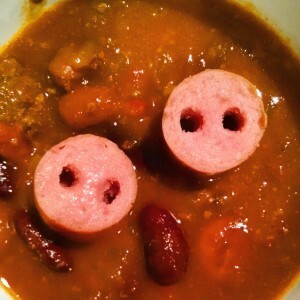 They call this one pig snout chili and always want more. 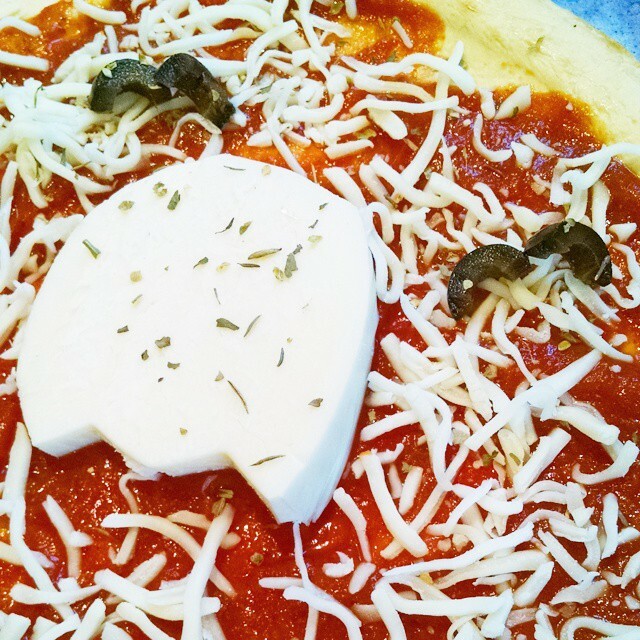 Every year we make pizza with different Halloween shapes. This time we slices olives to create bats, and used a tulip cookie cutter to create a ghost. 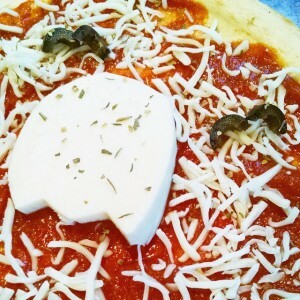 Below are affiliate links to items I used to make the above food. Thanks for your support and Happy halloween! 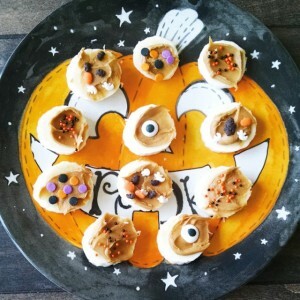 This entry was posted in Recipes, Things I Love on October 18, 2015 by Ring Master Mom.